The Seahawks have found another backup for quarterback Russell Wilson. It just won’t be Colin Kaepernick, who apparently is too good for the job. Seattle’s new man behind the man will be Austin Davis, who has 10 starts to his name across five seasons with four teams. Davis joins another undrafted free agent, Trevone Boykin, as Wilson’s understudies, at least for training camp. Boykin had backed up Wilson last year. Davis was last seen getting cut by the Broncos in December after not playing a down in 2016. The Seahawks had Davis in for a visit two weeks ago, right around the same time they had Kaepernick drop by. But their decision to opt for Davis instead brought renewed attention to what head coach Pete Carroll had said Friday, when he told reporters Kaepernick is “a starter in this league.” Because who needs a starting-caliber QB to be a backup when there’s a perfectly fine career backup out there who hasn’t thrown a pass in two years? Kaepernick’s best chance to land a job is if someone were to get hurt during training camp. But, for now, the NFL appears to be fine with portraying him as overqualified and underqualified at the same time. 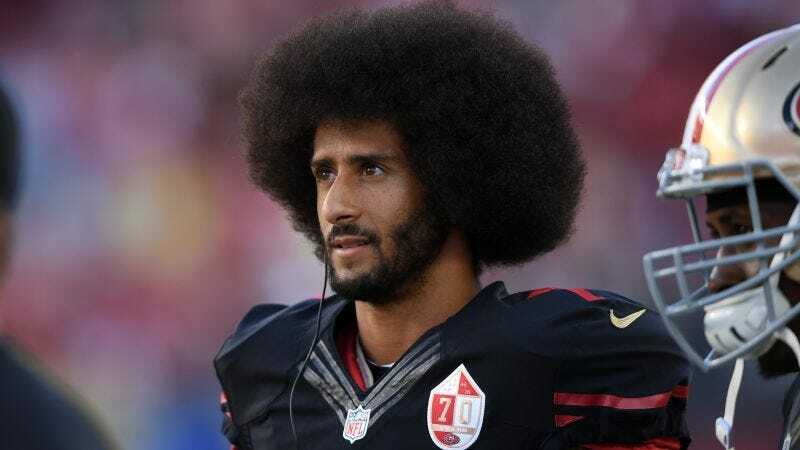 What Exactly Is Going On With Colin Kaepernick?